ebook | Dragons Rule OK. Addition of a new page. 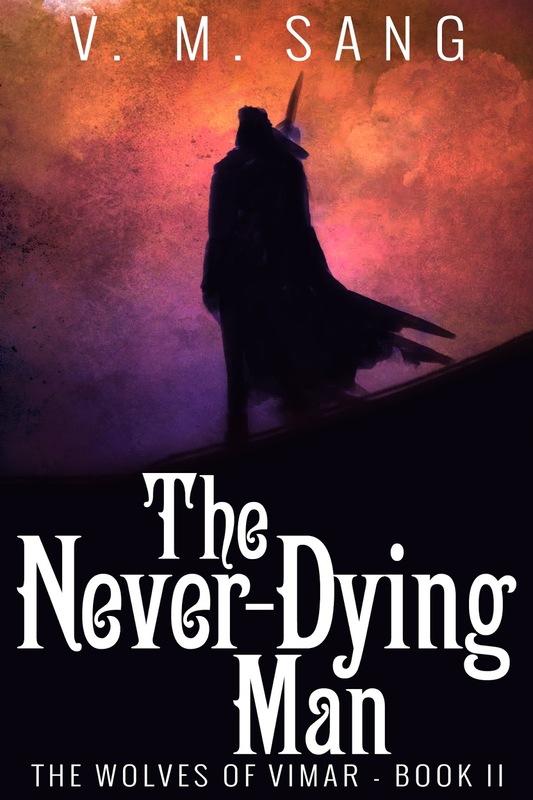 I have been writing historical novels under the name of Emily Littler. I currently have one pubished, called Vengeance of a Slave. I started a website in order to promote it and get it known that it exists. However, I’m finding it well nigh impossible to keep up with both this site and that one so I’ve decided to add a page here dedicated to Emily’s novels. From today, The Stones of Earth and Air will be free on Amazon until 18th September. Don’t miss this chance to get your free copy of book 1 of Elemental Worlds. An Interview with Magister Robiam, the chief Mage in the land of Grosmer. From The Wolf Pack–a fantasy adventure. Me: Thank you very much for allowing me this time in what must be a very busy schedule. Robiam: Not at all, my dear. We must keep the press happy. Magic is still not fully trusted you know. Me: After the Mage War and the Forbidding I suppose you mean. Arch-Mage Yssalithisandra told me about that. magic isn’t evil. It’s just a tool, and the users can equally put it to good or bad use. Just as a knife can be used to cut up food for the preparation of a meal, and also to kill or injure someone. The knife isn’t evil, just the user. Me: Quite. You are a magister, sir. Tell me what that means. and not expect too much of them. The probation can be extended or shortened. depending on the mage in question. Me: What happens after the probation is finished? being a simple Mage of course. Me: So there are only 3 ‘levels’ in the magic profession? known as a Conjurors, then they would progress to Magicians, Sorcerors, Wizards etc. Me: Why was this scrapped? Robiam: It was too cumbersome, and mages are rather fond of their independence. They are free spirits, if you like. They do not like to be regimented, and so it was simplified. Me: Why not do away with ranks completely then? who fail their mage tests. What happens to them? Robiam: Unfortunately there are always a few who have a little magic but insufficient to pass the tests. We do not turn them out into the world to create havoc, which they could easily do. We make them associates of the Tower and they become entertainers, keep shops selling magic items, become adventurers etc. Me: Thank you very much, Magister for your time. 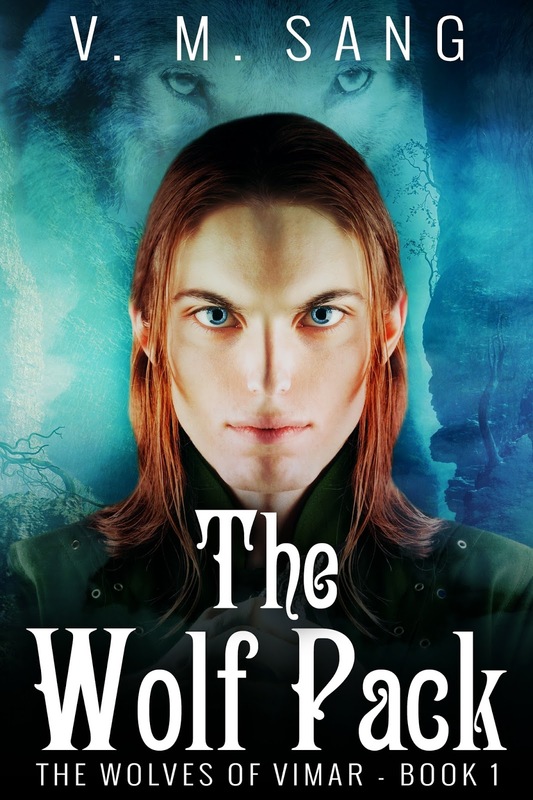 If you would like to know more about the magic on Vimar, the world in which Magister Robiam and the other people I’ve interviewed live, you can buy the first two books in the Wolves of Vimar Series, available from Amazon in ebook ot paperback formats. They are The Wolf Pack and The Never-Dying Man. Follow these links. If you have read either or both of these books I would be most grateful if you would post a review, Reviews are important to authors because it is the main way that other people find their books. If you have done so, or are going to do so, Thank you very much. The Stones of Earth and Air will be released next week. It’s book 1 in Elemental Worlds. Here’s a bit about it. Pettic is the best friend of Torren, the Crown Prince of Ponderia. When Torric starts behaving out of character, Pettic sets about trying to find out why. He discovers that Torren has been kidnapped and a doppleganger put in his place. He decides he cannot let his friend remain a prisoner, nor allow the cruel impostor to remain as Crown Prince and ultimately King as he would no doubt become a tyrant. Pettic therefore sets about rescuing his friend. He discovers that Torren is imprisoned in a mini-plane created by a magician. The only way in is using four gems associated with the four elements, Earth, Air, Fire and Water. There is a problem, though. Each gem has been hidden on one of the four Elemental Worlds. Pettic resolves to enter each of these worlds and find the gem. How can he find a single gem in a whole world, though? And he can’t return without the gem. On each world, he has to perform a task to help the inhabitants. Can he discover the gems, or will he remain trapped on one of the worlds? What are the tasks he has to perform, and can he get back and then enter the mini-plane and rescue Torren before the false prince becomes king? I’ve just received the covers for Book 1 of Elemental Worlds. Here it is. Kimi and Davrael are two of the group who call themselves The Wolf Pack. I have been serialising some of the earlier stories of these friends on the first Tuesday of the month. so far I’ve done Carthinal’s parents and Aspholessaria, known as Asphodel. Kimi woke to hear sounds of horses whinneying. A gate creaked and then she heard galloping hooves. She quickly jumped from her bed and went to the window of her small bedroom. There, in the darkness, she could just make out a herd of horses disappearing across the plains. She ran to her parent’s bedroom and woke them. ‘The horses have been stolen,’ she called as she turned to her brothers’ bedroom. Her father leaped out of bed and ran to his window. This looked out over the back of the ranch where there were two corralls of some of the best horses on Vimar. He saw that these had not been touched, but these were not his best animals. The one Kimi’s room overlooked held those. ‘Are you sure, Kimi?’ he called to her as she woke her two brothers. He knew she would not have made such a mistake, but he felt he had to ask. The girl came out of her brothers’ room, followed by the young men,Yeldin and Olias. The boys were older than their sister, Yeldin being the elder at almost twenty, and Olias was eighteen. Kimi would be seventeen at her next birthday in two months’ time. Kimi looked at her brother and sighed. The family was one of a number of settled folk living close to The Barrier, the range of mountains that cut off the Western Plains from the rest of the continent of Khalram. Once they had been of the Tribes themselves, following the herds of wild horses that roamed the plains Several generations ago, some of the people had decided they could rear better horses if they had more control and so they settled in one place. There had been enmity between the Tribes and Settlers ever since. Kimi looked hard at her father. Soon, Kimi and her brothers were cantering westwards after their animals, alongside their parents. All carried bows, and the men were also armed with knives. The tracks were easy to follow. The thieves had taken around twenty of the family’s best animals and they left plenty of signs of their passing. Then the tracks split into three. Kimi’s father pulled his horse to a halt. Kimi’s mother pulled her horse nearer to her husband. The argument went on until Kimi, ever practical, pointed out that while they were arguing, the horses were getting further away. They took a vote, and all voted with their father and so the group split into three. Kimi found herself with her elder brother, Yeldin. They followed one set of tracks to the south west. ‘Any idea how many are in this lot?’ he asked her. Kimi was a good tracker and she descended from her horse and studied the tracks. Kimi pulled her pieballed horse round and galloped of in a westerly direction. She had her bow ready to fire at any enemy who approached, but she was not prepared for the five warriors who came from out of a stand of trees and surrounded her. They quickly pulled her from her horse and bound her hands and feet, then put her back across her horse so she could only see the ground below as they cantered southwards towards their camp. What will become of Kimi, captured by one of the Tribes? Find out next month. Review of Terry Ravenscroft’s Stairlift to Heaven 2. Further up the Stairlift. For those of you who have never heard of Terry Ravenscroft, he is a writer of comedy. He has written for such people as Les Dawson and The Two Ronnies, and has also been the script writer for such shows as Alas Smith and Jones, Not the Nine 0’Clock News and many others. This book does not fail to live up to the expectations such a CV would lead one to expect. It is full of humerous anecdotes of his escapades with his friend, Atkins. Atkins seems to be just the same kind of person as Terry Ravenscroft and the two egg each other on to all kinds of misdemeanours from misleading someone in a charity shop to believe he had found a valuable piece of pottery to annoying cold callers on the telephone. This is the second book Mr Ravenscroft has written about his life in retirement and I am looking forward to reading Book 3. Definitely worth a read. I award it 4.5 stars, rounded up to 5 stars for Amazon.